After surviving a serious elevator crash in London, Howard G. Charing found he had developed healing touch as well as the ability to hear voices and experience visions--just as a healer in Italy had predicted only a week before the accident. He began using his abilities to heal but felt he needed more guidance and training. He first connected with a national spiritual healing organization, only to be told he was doing everything wrong. Then, through a friend, he discovered shamanism. 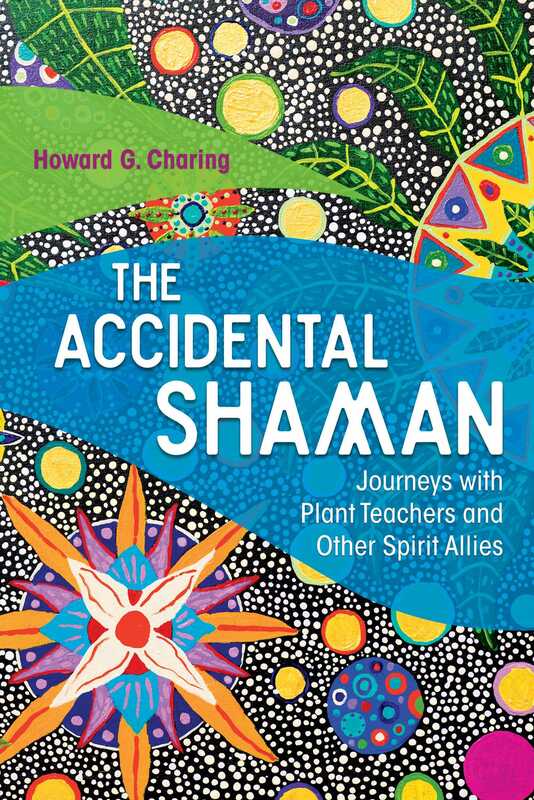 Sharing profound teachings and extraordinary experiences from his more than 30 years of shamanic healing work, Charing explains how he accidentally became a shaman and completely changed the course of his life. He describes his work with plant spirits, entheogens such as ayahuasca, and indigenous shamans during his 20 years of fieldwork in the Peruvian Amazon, including his studies with the late visionary artist Pablo Amaringo. Investigating altered states of perception, he provides visionary techniques for exploring non-ordinary reality, exercises for expanding sensory perception, and practices to open your creative artistic visionary potential. Detailing the practice of soul retrieval, the author discusses why it is one of the most effective and profound spiritual healing practices and shares emotionally charged stories of successful shamanic healings he has attended. He also includes shamanic wisdom on working with feathers, stones, and sound and compares current research in physics with the vast body of experiential knowledge from indigenous spiritual traditions. From the accident that started his journey to the many remarkable spiritwork encounters that have happened since, Charing’s story will empower readers to begin exploring the realms of consciousness and energy that surround us and welcome the dissolution of the boundary between the physical and the spiritual. To provide a working definition of soul in a healing and transformative context I refer to it as life force. This is the life force that animates our physical life on Earth. Soul is metaphorically in the body, in our guts. It responds to life, to rhythm, the joy of life, music. The purpose of soul retrieval is to have as much of our life force as possible in order to live this life to the greatest degree that we can as human beings. My subjective vision of the soul or life force is of a bio-geometric structure that contains our memories, our emotions, and our experiences from our very beginning in the physical world--the moment of our conception. I usually describe the soul using a metaphor of a three dimensional tapestry consisting of threads, fibers, and filaments. Each thread is a discrete element, a story or an experience that stretches back in time. In addition these threads form part of a larger geometric structure of our parents and personal ancestry that also stretches back in time and is part of a larger more encompassing structure and so on. Soul retrieval is one of the most effective and well-known practices to restore lost life force. The loss of life force is known as soul loss, and this can take place when we suffer a trauma—an accident, separation from a partner, the death of a loved one--or go through a pervasive period of difficult circumstances. When we undergo a severe trauma typically a part of our life force goes away, so that we can survive whatever is happening to us. It is a way for the body and consciousness to survive severe trauma. But problems develop when the soul part or fragment does not return. Shamanism does not dwell on past events; there is only this great moment of now where there is no separate past, present, or future. It is possible for a practitioner to journey and move outside of linear time to go to the place where that traumatic event is still occurring for a person and to locate and restore that person’s life force, which has been held in that energetic event. When this restoration has been carried out, the deep healing can truly begin. The concept that the threads contained in our individual soul connect to larger structures or fields of consciousness is shown in the following story. Helga, a German woman in her early thirties, came to see me with severe asthma, which she had suffered with most of her life. I must point out that her intention was purely for relief of the asthma and not any soul retrieval or related work. As I made my initial energetic connection to her, I felt this overpowering sense of smothering, oppression, and choking. The feeling was so strong that it didn’t seem possible that it came from her. I started to energetically move through the layers of her soul-tapestry, and as I followed the thread I entered Germany during the Nazi era. I saw the Swastikas, and I could hear the voices and marching music of that time. Although this was unexpected, I have learned through experience to trust my vision and intuition, after all I was following the thread of her asthma. I suggested that I take a shamanic journey to explore the source of her asthma. She agreed, and I started to journey. At my initial “conference” with the Spirit guides they issued me a gas mask. Again, this was unexpected, but I put it on. I came into a town where the atmosphere was filled with thick, yellowish, pungent fumes. I walked around this town covered in this thick yellowish fog, and then felt a “pull,” a kind of magnetic attraction to enter a particular house. I entered the house and down below in the cellar I found Helga as a young girl of about eight or nine. She was sitting against a wall, with her knees drawn to her chest in great fear and anxiety. I gently approached her and told her who I was and why I was there, which was to rescue her, to take her out of this place and bring her home to her future self. I brought her back. In that reality she was a little girl and in the physical reality the little girl became energy or life force. I blew the returned soul part into the woman’s chest, at which she experienced an enormous shudder, followed by very deep breathing at the return and union of her life forces. Helga’s immediate response was that she felt energized, clearer, and just lighter in her body, and no longer had the feeling of being crushed in her chest. Once she had rested, we spoke again, and she told me that in the town where she was born there was a factory where the poisonous Zyklon B gas used in the Nazi extermination camps had been manufactured. She emphasized that “although everybody knew this, no one ever talked about it.” So this young woman who was not even alive at the time of the war had suffered what I can only describe as an existential trauma--a collective soul wound. Her lifelong breathing predicament--manifested as asthma--connected directly to the figuratively speaking poisoned atmosphere that resulted from the unspoken conspiracy to conceal this dark secret.